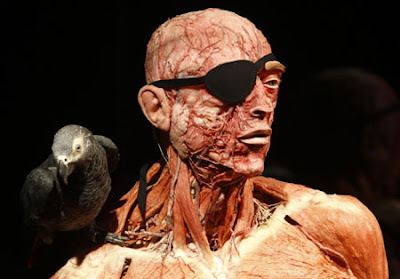 Body Worlds: Dr. Gunther von Hagens, Head Plastination at Body Worlds. 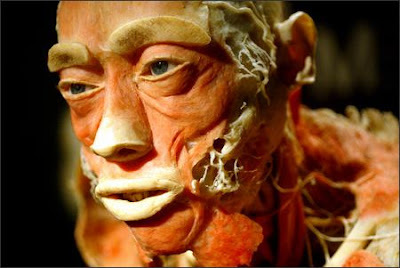 Dr. Gunther von Hagens, Head Plastination at Body Worlds. Close up of man dressed as a pirate at Body Worlds. 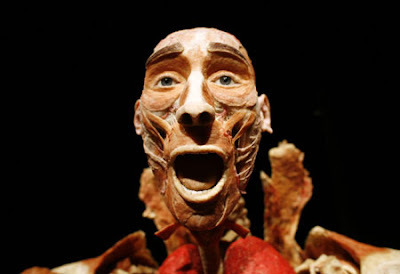 The singing man at Body Worlds. Skinless head and shoulders of a man at Body Worlds. 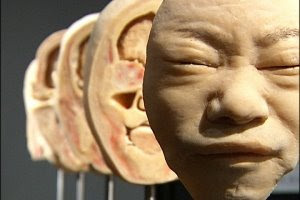 Dissected human face at Body Worlds. Sliced human head at Body Worlds. Nice blog & beautiful snaps, i will share ur blog with my friends. Hope u submit it for free in this website to increase visitor. Happy Blogging!! !